We offer complimentary Valet Parking Monday through Saturday nights and have both public and private lots available for all other days & times. Metro has stops in the area, and the Washington Wave jitney service makes stops at the Wine Dive as well. 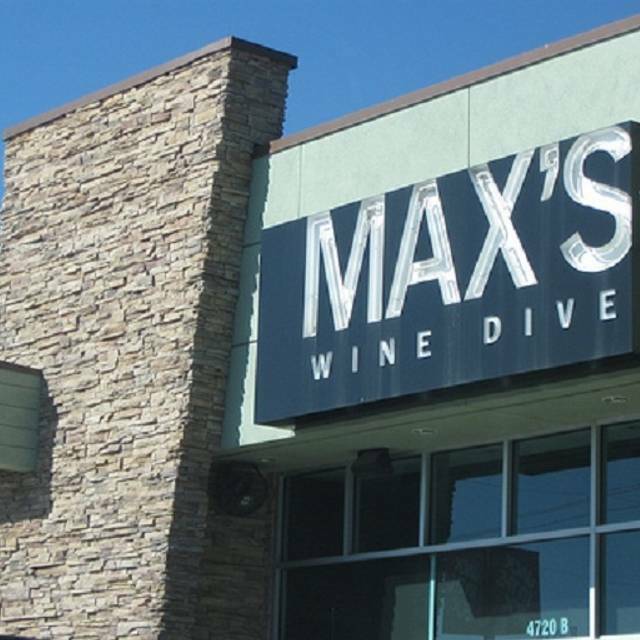 MAX’s Wine Dive features a jukebox with Texas-influenced classic rock and old favorites to help create the perfect atmosphere. Off-site and private event catering is available. click here for more information, http://www.maxswinedive.com/houston/catering_private-dining/index.php. 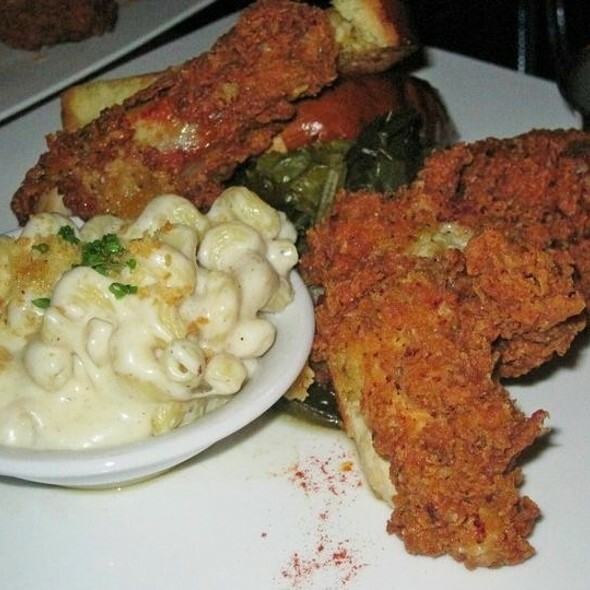 We love bringing the gourmet comfort food to you! While Wine Dive Houston is a smaller-than-most restaurant and doesn’t have a private room, we can accommodate cocktail-style events. And on certain nights, portions of the dining area (or even the entire restaurant) can be dedicated to private events. crispy fried egg whites with potato flakes, egg yolk filling with mayonnaise, mustard, house-made pickles, dill aioli. Add smoked salmon or crab meat for an additional charge. southern style biscuit, black pepper cream gravy. Add breakfast sausage or smoked ham for an additional charge. 3-pieces jalapeño-buttermilk marinated fried chicken, home fries, collard greens, texas toast, chipotle honey or hot sauce upon request. Add 1 piece dark meat or 1 piece breast for an additional charge. 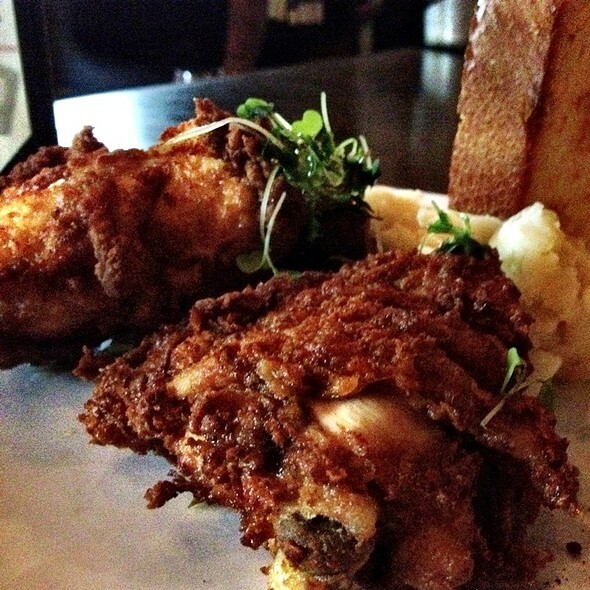 Badass gluten friendly fried chicken also available. cavtappi pasta in provolone, gruyere, grano padano, and white cheddar cheese sauce with crispy bread crumbs. Add truffle pieces & truffle oil, bacon & jalapeño, or fried chicken tenders for an additional charge. all beef short rib, brisket & chuck patty, challah bun, garlic aioli, american cheese, bibb lettuce, hothouse tomato, red onion, pickles served with french fries. 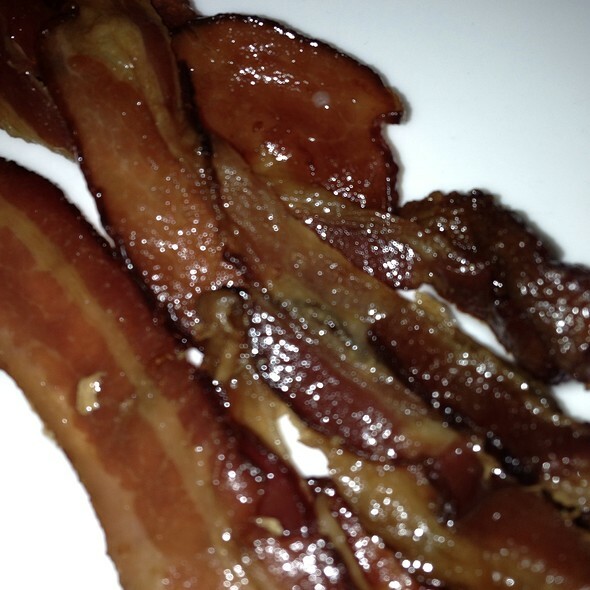 Add applewood-smoked bacon, fried egg, or pickled jalapeño for an additional charge. ^ = stands for "Gluten Friendly" | * = stands for "Ask for Gluten Friendly" | ** = consuming raw or undercooked seafood, meat, or eggs may increase for risk for food borne illness. I was really disappointed at the service on Saturday. It was hardly anyone in there, 3 parties at the most. Service was ridiculously slow to the point I had to ask an employee who was our server. It took 3 waiters before our drink order was taken, and then one more for food. The server who did finally take our order kept coming back and asking what we ordered (3 times). If she couldn't remember, then I don't know why she doesn't write it down. I would have been more understanding if business was booming, but it wasn't. I hate to say, I can just about guess why with the poor service we received. I will definitely not be back to this particular location! It's NOT a large restaurant however I was still able to enjoy the wonderful food comfortably. The wine was delicious and the dessert special was exceptional, they should definitely add that to the menu. There isn’t a lot of space in here so make sure you make a reservation. Very good food and an excellent selection of wine. The only reason I’m noting giving 5 stars is because our waitress never put our orders in. We sat for 2 hours with no food. When I asked her she lied and said the kitchen was backed up. But there were several other ppl that Came in after us and food was being severed food. The manager on duty that day 3/10/19 rectified the situation. Comp the appetizers and comp the food. I didn’t get his name but he was real sweet. Needless to say she did not deserve and tip and none was left. Had the chicken and waffles with mimosas. Excellent brunch! I’d heard they have great fried chicken along with another few items like egg sandwich and red velvet french toast. 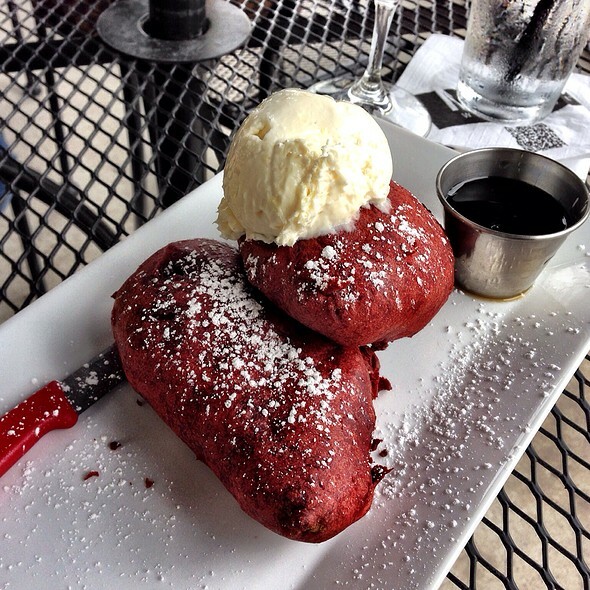 However, they no longer serve the red velvet french toast. So, I went with the chicken and waffles entree but sub the waffle for the french toast. Not a good idea. 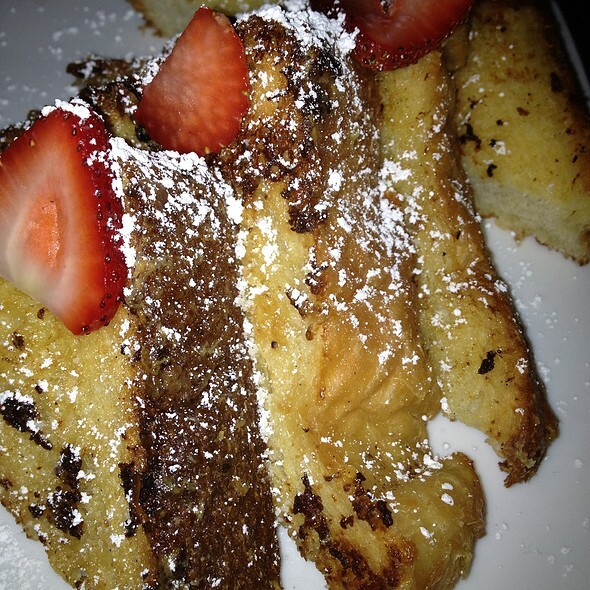 It’s not that the french toast was bad but rather it wasn’t my cup of tea. 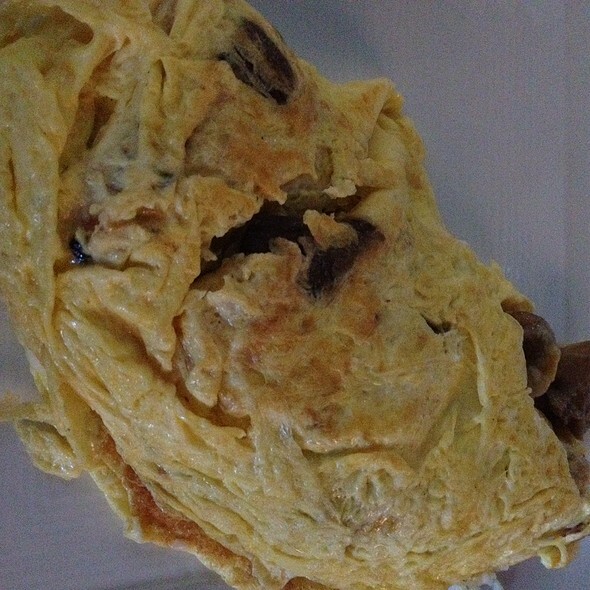 I did not enjoy the texture. The chicken on the other hand was pretty good. I love the vibe of the restaurant and I’m sure it’s a cool happy hour spot. I went on a Saturday around 11 for brunch. I sat at the bar and Kelly was amazing. She was friendly, offered suggestions since it was my first time and checked-in without being intrusive. I’ll definitely visit again in the future. Food was tasty, prepared as expected. The wait staff was good at their work but could have used more help. The service was pleasant but a little slow. The noise level was really high, but I would still return for the food. I have always enjoyed my visits to Max's. A great selection of wine and great modern takes on classic American dishes. My guest and I arrived for our 1:00 pm reservation at 12:50 pm and was greeting and offered to sit wherever we like. There were approx 4 customers already there with two at the bar. We met our waitress at 1:10; asked for water. We received our water 10 minutes later. Placed our simple food orders, waitress returned to our table FOUR times to confirm our order; each time reciting it to us incorrectly. Received our food and the mac-n cheese was just boiled noodles with a liquefied beaded cheese sauce drizzled on top. We asked for straws which our waitress brought to us using her bare fingers to grip the mouths of the unwrapped straws. And finally, we asked for the check, not to receive it until 15-20 minutes later; leaving at approx. 2:30 pm. Again, there were only a handful of people in the restaurant during our visit. Did I mention the collard greens had so much salt in them that I joked with my guest about them needing a bath - and I love salt. I also did not realize when ordering the Famous Chicken we now had to ask for the honey chipotle dipping sauce; which took her seemingly a long time at this point to bring. It is possible it only took her a few minutes, it just seemed like it was a long time because I had my food, finally and was ready to eat. The waitress was nice; however, it appeared she was not on top of her game that day. Everyone has an off day, perhaps; her off day interfered with my ability to enjoy my lunch time that I rarely take. Also, I was surprised after sending the mac n cheese back, the manager did not inquire of the matter. We always love dining here. The food and atmosphere is always great! I have been to MAX’s before, however my husband hadn’t. He absolutely Loved it......the food, waitress, greeting & the atmosphere all together. Looking forward to going back soon! Very loud and voices carry since it’s a small place. Took forever to get served, probably 15-20 minutes before a waiter came. We were told we couldn’t have straws because they ran out of them and when we wanted to order champagne they told us they were out of that brand which made us have to purchase a higher bottle. I heard the waiter offering the same brand they said they were supposedly out of to the table next to us. Mac and cheese was cold and food was mediocre. It’s a reason why I come back time and time again. The food is great as well as the wine selection . If you haven’t already you must try their house Spanish white wine, it’s amazing !! Great food. Music was too loud! This place is awesome! The chicken is my favorite because it’s full of flavor and juicy! Next would be the meatloaf! You just have to go to believe! Not a big fan of bitter wine and that’s really all they have but for those who doesn’t like sweet wine, here’s your place! Our service was excellent; the food was to die for. Great menu for snacks/apps/small bites, especially during happy hour. So glad we chose Max's to spend pre-Justin Timberlake concert - thank you!! Great restaurant. Service was good. I was very disappointed when I arrived on January 20 and was told I have no reservations. So I pulled out my phone and let the hostess view my reservations. I was meeting a client and I am glad that I arrived early so my client wouldn't have seen the expression on my face. Get it together, whoever dropped the ball on my reservations. We sat at a hightop which was not comfortable. The place was too crowded and the food was so-so. I had to ask for butter for my waffle. The chicken crust is very good, but my breast was dry. Food Outstanding, Service Outstanding, tight quarters. Brunch was excellent. Menu changed on us, but still good. We were a group of 4 ladies looking for a convenient spot to meet for brunch. Our service was good, the food was different and very tasty . The crispy deviled eggs were unique and spicy--fun new food. My friend had Max's Mac and Cheese with chicken tenders and found it delicious. The Southwest Skillet was another new tasty dish that we enjoyed. 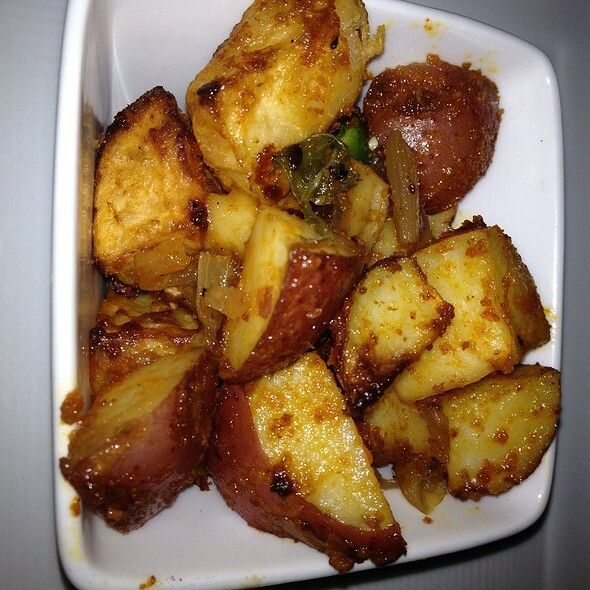 The home fries were well-seasoned and cooked to perfection. Tried the grapefruit Mimosa and found a new favorite! Overall a super experience! Awesome!!!! Would definitely dine here again. Our server Mariah was awesome and very helpful. We’ll be back again. Little noisy but it was Saturday night , folks just having fun ! The food was very good and reasonable for the area, and the service was good, but wines are very overpriced for the offerings on their list- I’m used to restaurant wine markups but only discounting a few hour wines during happy hour puts Max’s Prices out of line with other restaurants in the Washington/Heights area. Will not return - too many other great options. Our server Taylor was extremely attentive and helpful! 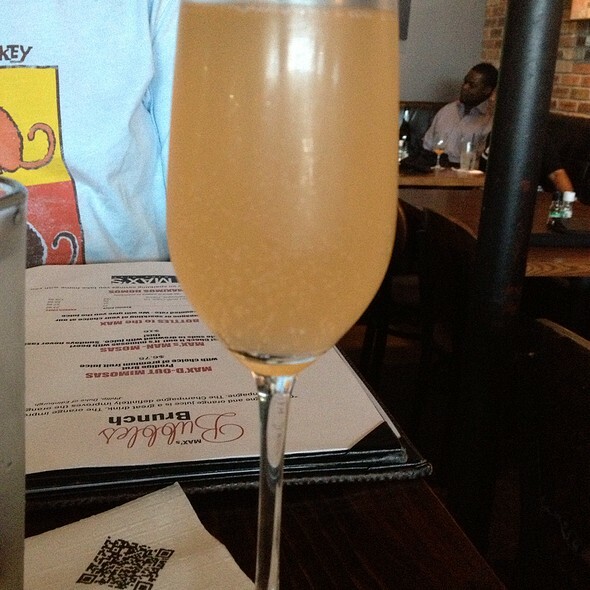 The Bellini was fantastic! A favorite of our household, we've spent some great time here and never regretted the time, money, or choice. Great wines, amazing food choices, and some great service. Always a sure bet! Tweets by MAX's Wine Dive Houston - Washington Ave.
See Full Restaurant ListMake a Reservation at MAX's Wine Dive Houston - Washington Ave.